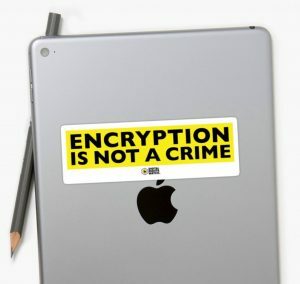 In December 2018, the Australian Parliament passed laws designed to compel device manufacturers and service providers to assist law enforcement in accessing encrypted information. Although apparently developed to allow government agencies access to criminals’ encrypted communications, the Assistance and Access Act grants broad, sweeping powers to government agencies that will harm the security and stability of our communications and the internet at large. The entire parliamentary process of these laws was nothing short of a farce. With a severely truncated public consultation, a rushed parliamentary inquiry barely had time to read all the submissions. Secret hearings with law-enforcement and spy agencies stated that suddenly these new powers were needed before Christmas. For a fleeting moment, we thought the Labor opposition might stand up and see reason, but then both major parties teamed up to push through a law in the final hours of sitting, with a record 173 amendments that were introduced only hours before the vote was cast. These laws are deeply flawed, and have the likely impact of weakening Australia’s overall cyber security, lowering confidence in e-commerce, reducing standards of safety for data storage and reducing civil right protections. In their very design, they are antithetical to human rights and core democratic principles. Rest assured, this is not the end of the fight – we’ll keep working to ensure that encryption is protected.